On our first night, the owner of the hostel, Jorge, invited us to enjoy some Pisco sour with him and the other guests. Despite the bickering between Peru and Chile as to who invented Pisco and who makes a better Pisco sour, having sampled both, I think they both taste delicious. Think a whiskey sour, but with a bit more kick. After our Pisco sours, Jorge and his friends invited us all to come out to a local bar and experience some night life. It was then that we were introduced to a drink called “Terremoto”. Terremoto is made with pipeno (a sweet fermented wine) and pineapple ice-cream. Terremoto means earthquake, and the drink is supposedly named because after drinking it, your legs will shake like there is an earthquake… although I’m convinced it’s named for the earthquake in your head that you wake up to the next morning. We parted ways with Jorge to explore a few more bars; there were plenty of hole-in-the-wall places that offered good live music and cheap drinks. Part of Valparaiso’s Open Air Museum. The next morning we fought off the terremotos in our heads, and started our walking tour of the city. 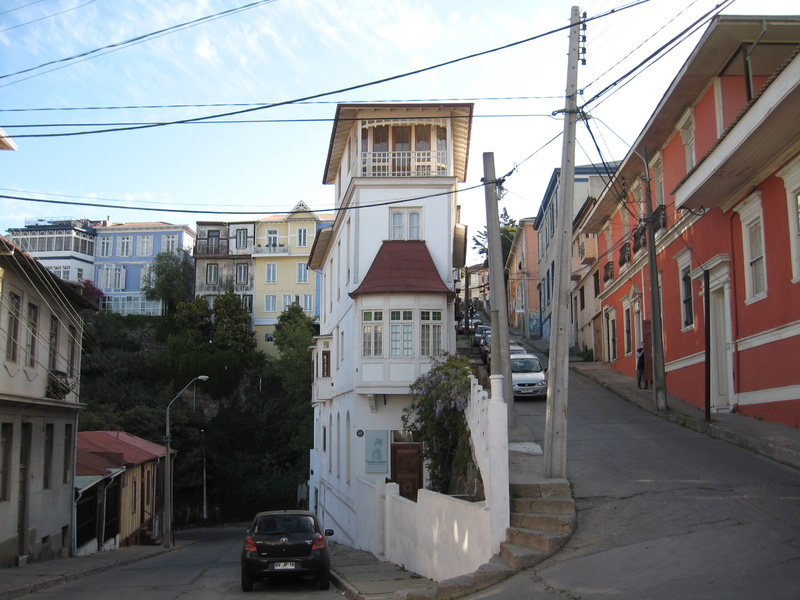 To celebrate Chile’s bicentennial, the fine folks of Valparaiso have published a bicentennial route that will take you to every nook and cranny of the city. The tour allows you to pick what you would like to see according to how much time you have. We stayed an extra day to do all the tours because they were so great. Even the docks are magical in this city. Amazingly, the route is marked in the pavement at confusing turning points to help you along. The maps and descriptions used to be listed here, but as of my last check this website wasn’t working. Alternatively, this blog has the tours but no maps… if you pick up a free map in Valparaiso, you could draw the route on yourself (this is what we did). You can also get the bicentennial heritage trail map from Gato Tuerto bookstore at the Fundacion Valparaiso (Héctor Calvo 205). 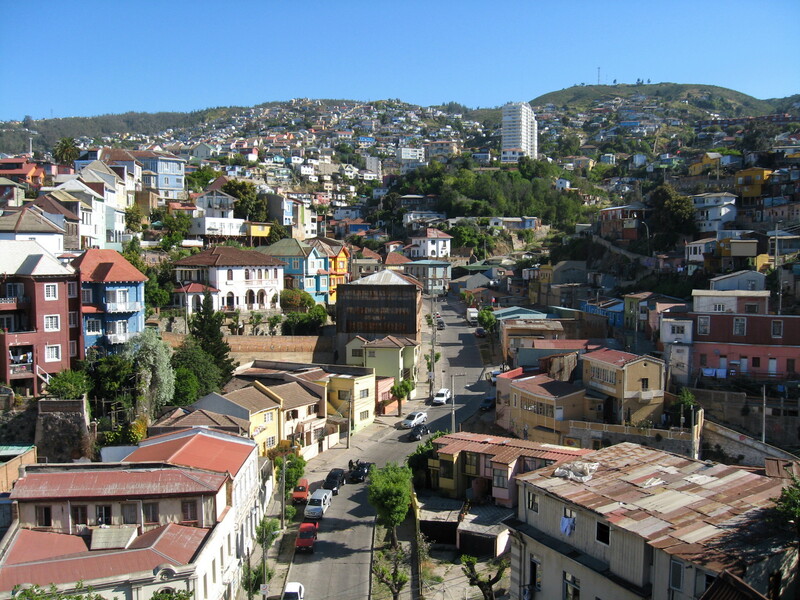 Make sure not to miss Valparaiso’s Open Air Museum where you can see murals painted by revolutionary youth in the ’60s and ’70s. Check out this photo essay to get an idea of what you will see. 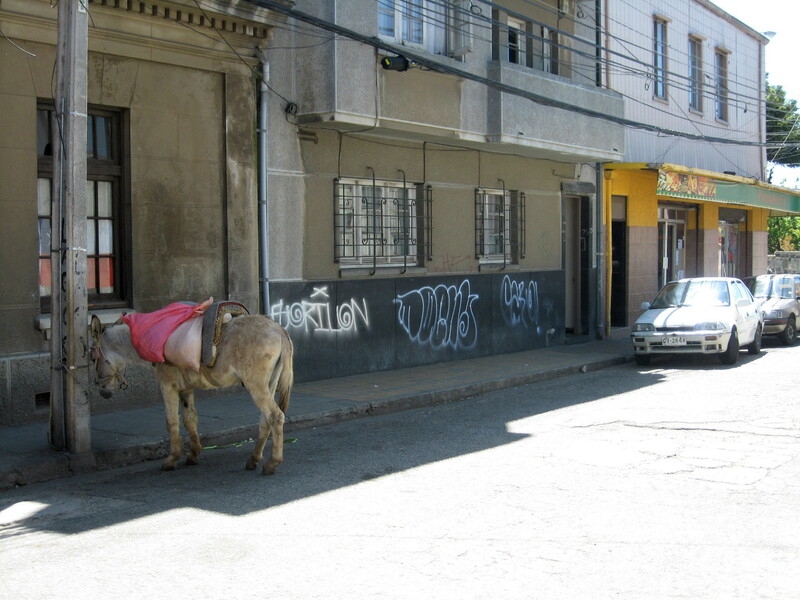 There are scenes like this all across Valparaiso. Paseo Gervasoni: There are many pedestrian passages like this hidden throughout the city. 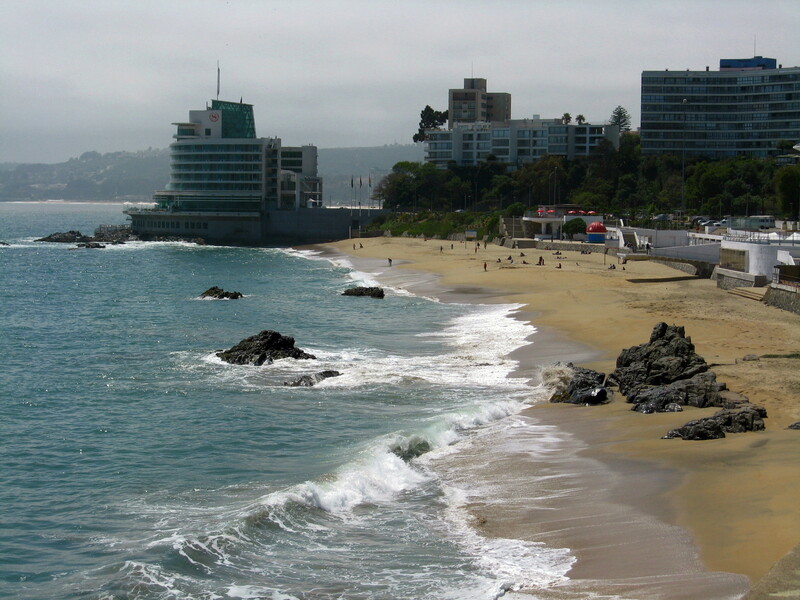 We decided to stay in Valparaiso and take a day trip out to Viña del Mar, Chile. It is so easy to take a day trip from Valparaíso to Viña del Mar. We took the rapid transit known as Valparaíso Metro. You can buy a card and charge it with enough money to make the trip to Viña del Mar. You only need to buy one card for your group. The owner of the hostel we were staying at let us borrow his card for the day. The rechargeable cards only cost about $1, and the one-way fare for one person to Viña del Mar is about CLP400/$0.80. The trains are fast, clean, and modern. I highly recommend getting off at Recreo station (two stations before Viña del Mar station) where there is a nice boardwalk and beach to walk along. 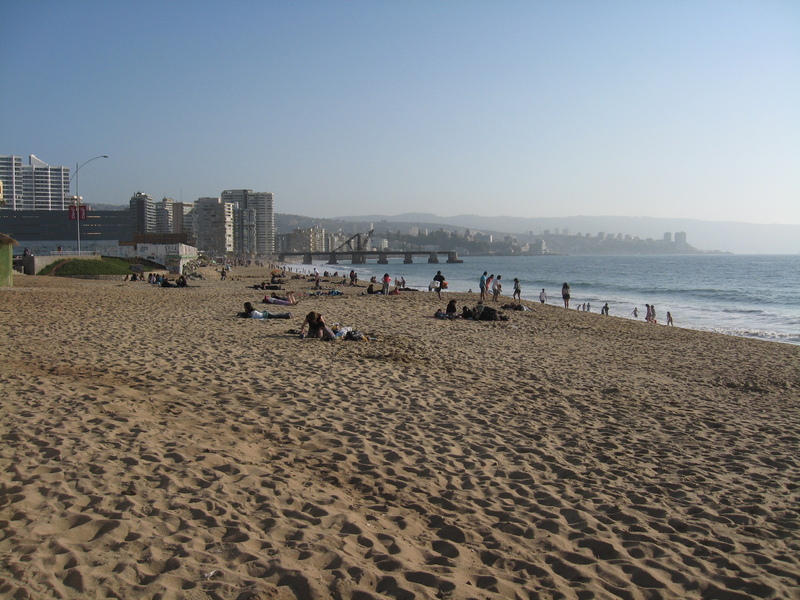 The beach here is smaller, but a lot less crowded than the ones in Viña del Mar proper. 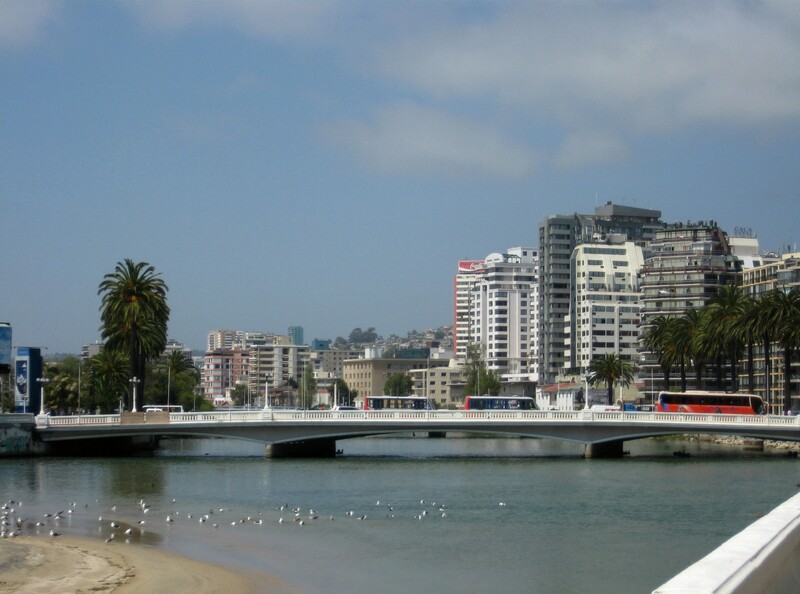 There are a lot of restaurants along Avenida San Martin, but many of them were out of our price range and commercial. We were looking for something a little more authentic. We happened upon a little restaurant, Hierro Viejo, that seemed like it was built in a house. They have lunch and dinner sets that come with a choice of appetizers, main courses, and a dessert starting at CLP2300/$4.75. The food was excellent, the seafood was fresh, and the restaurant was packed with locals; a good sign. After imbibing a relatively strong pisco sour, we wanted to keep the buzz going so we popped into a bodega and picked up some beer to take to the beach. We sat, people watched, and drank our beers for a couple of hours before we headed back to Valparaiso. 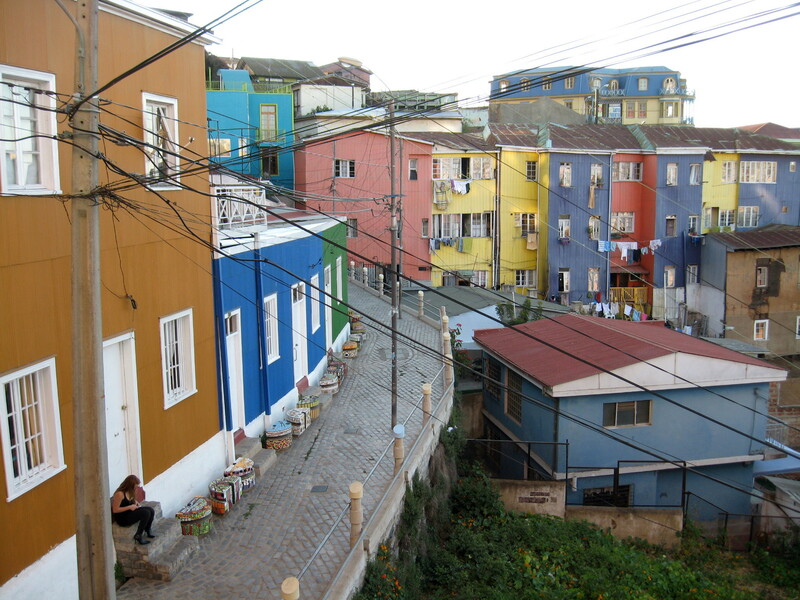 We stayed one more night in Valparaíso, our last stop in Chile, before crossing the border in to Mendoza, Argentina. I will be visiting Chile in March. I enjoying your blog. Keep up the good work. Will make a point of getting to Valparaiso. 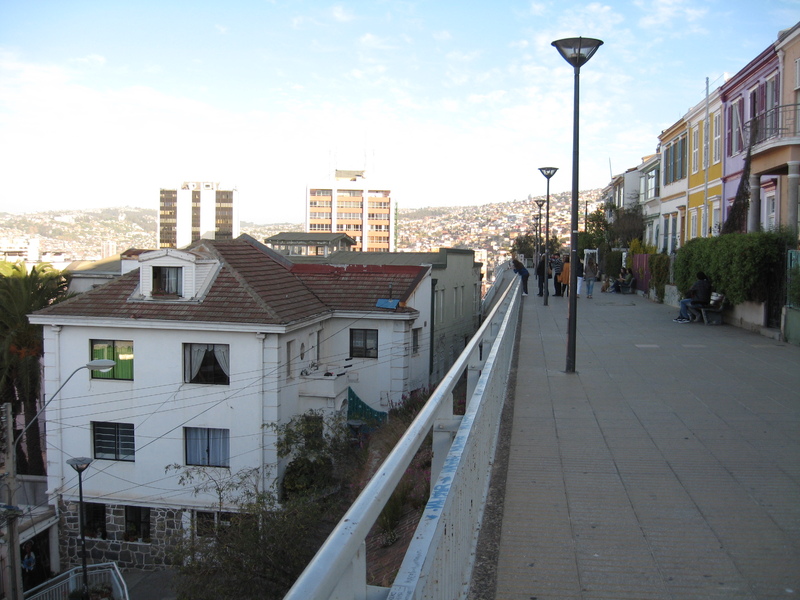 What about taking the train from Santiago to Valparaiso? Hi Rolfe. there’s no Train from Santiago to Valparaiso. But you may try the train to the South. 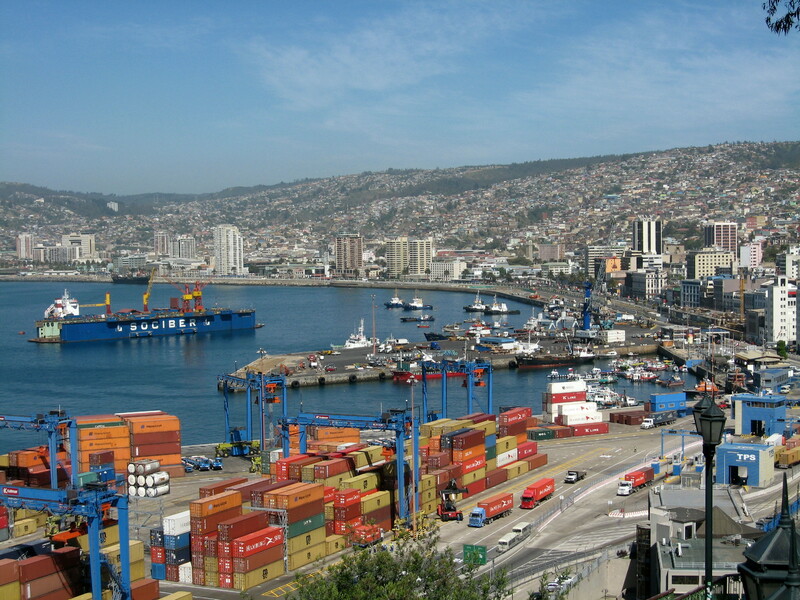 Valparaiso is just in direction to the coast.